All members of associations that are full or affiliate member of EABCT. A yearly congress is run by or under the umbrella of EABCT. The congresses offer world-class speakers, workshops, papers, posters, training sessions. Regional conferences are run by Specialized Interest Groups of EABCT, such as the yearly OCD conference in May in Assisi, Italy. Members of EABCT associations receive a reduction on the registration fees of congresses by or under the umbrella of EABCT or a member association of EABCT. Members of associations in emerging countries receive extra reductions on the congress fees. EABCT offers a network to connect in person at our regional events or European congresses, or via LinkedIn in our Specialized Interest Groups. CBT trainers offer their help to develop training programs in developping countries and regions. Scientist and researchers from EABCT member associations can join a Specialized Interest Group on LinkedIn to exchange research topics. In the future a platform for exchange of knowledge will be developped. Opportunities to join a committee, special interest group, working group or board office. EABCT member associations can link their Find therapist list to the EABCT website. 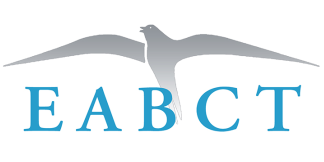 EABCT develops and elaborates training standards, making EABCT the leading European Association on CBT training. EABCT has launched an accreditation scheme by which it accredits its member associations, enabling them to accredit their members (CBT therapists) at a European level. Publishers offer special reductions from 15-20% to EABCT members via their online bookstores . Click on one of the banners below.